In a pure sense, minilaparoscopic procedures are those that are performed exclusively utilizing minilaparoscopic instruments. However, more commonly, during procedures involving the use of minilaparoscopic instruments, conventional laparoscopic instruments, especially conventional 5 or 10 mm laparoscopes, are also utilized to effectively obtain the most optimal surgical result. Technologic innovations constantly influence current surgical practice. Minimally invasive surgery has been particularly influenced by the development of newer technology and refinement of existing technology. Development of sophisticated and miniaturized optical systems led to the beginnings of minilaparoscopic surgery. Initially, minilap-aroscopy was used primarily as a diagnostic tool in gynecologic surgery. Amongst the initial minilaparoscopes was a system developed by Medical Dynamicsa in Englewood, Colorado. The system consisted of optical fibers, incorporated in fiber-optic bundles known as "optical catheters." 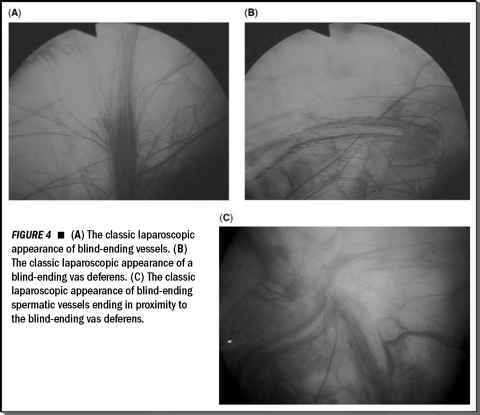 Utilizing this technology, Dorsey and Tabb reported their experience with minilaparoscopic myomectomy, adhesiolysis, and biopsy and laser coagulation of endometriosis tissue in 1991 (1). More recently, numerous therapeutic applications of minilaparoscopy have been described in general surgery, endocrine surgery, gynecology, thoracic surgery, and urology. Various terms have been used in the literature to describe laparoscopic surgery that is performed utilizing small caliber laparoscopic instruments. These include microla-paroscopy, needlescopy, and minilaparoscopy. There appears to be a lack of clarity in the literature regarding the precise definition of these terms. Commonly, the terms have been used interchangeably to denote instruments that are of smaller caliber than conventional laparoscopic instruments. Within this chapter the term "needlescopic" is utilized to denote instruments with an outer diameter of 2 mm or lesser. As such, needlescopic ports have an outer diameter of 2 mm, which is similar to the diameter of a 14-gauge angio-catheter needle, hence the term "needlescopic." The term "minilaparoscopic instruments" includes all devices that are smaller than conventional laparoscopic instrumentation, which have an outer diameter lesser than 5 mm. The term "minila-paroscopy" includes procedures performed employing needlescopic instruments. In a pure sense, minilaparoscopic procedures are those that are performed exclusively utilizing minilaparoscopic instruments. However, more commonly, during procedures involving the use of minilaparoscopic instruments, conventional laparoscopic instruments, especially conventional 5 or 10 mm laparoscopes, are also utilized to effectively obtain the most optimal surgical result. This has resulted from deficiencies in mini-laparoscopic instrumentation and optics.